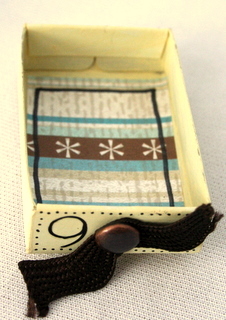 I wanted to create an alternative Advent style gift for one of my children and decided to use matchboxes as they are the perfect size to hide a tiny daily treat! 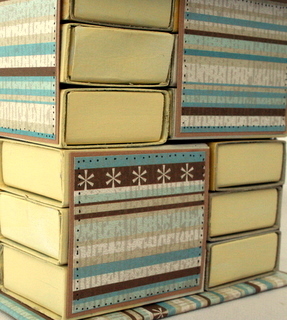 Using a strong double sided tape, I adhered three match boxes one on top of another until I had eight stacks in total – this gives 24 drawers – perfect for my advent themed project. Acrylic paint was used to cover all areas, including the inside of the drawers. Whilst waiting for the paint to dry I covered two pieces piece of chipboard, measuring 4 x 4 inches, with patterned paper. Once the matchbox towers were dry I started to assemble my matchbox cabinet. 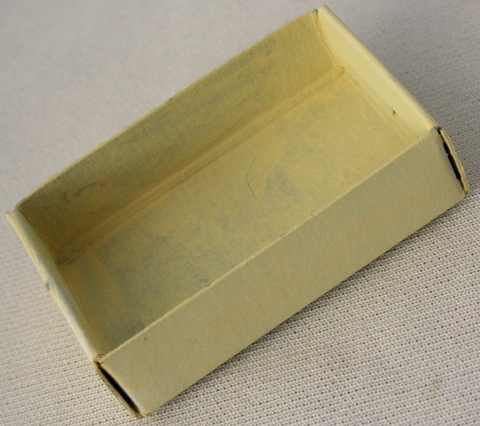 Its best to sit the boxes in place and check they are in the right direction before adhereing to the base. Once you are happy with their position adhere all boxes in place to form the body of your cabinet. 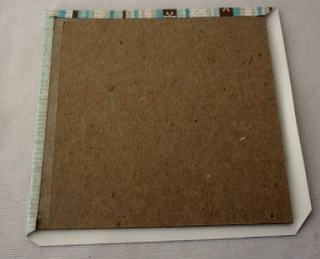 Alternating the direction in which the boxes sit on the chipboard base gives space for decorative paper, photographs or embellishments to be added to the project. 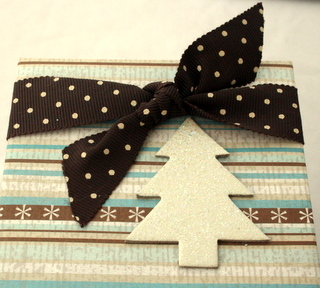 I covered another 4x4 inch piece of chipboard with patterned paper and before finally adhereing in place, I cut two lengths of ribbon 4inches long and tied them together forming a decorative knot. 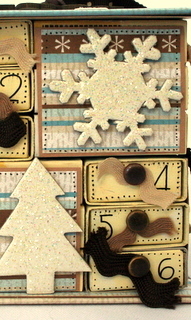 The lose ends were then adhered to the underneath of the mountboard using double sided tape and additional embellishments added. 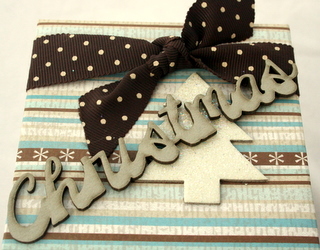 This decorated chipboard piece is then adhered to the top of the stacked match boxes to form a lid. 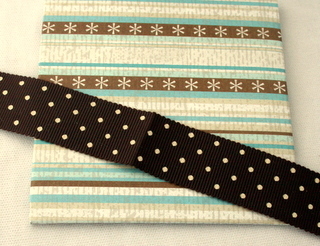 Brads and ribbon were used to create “handles” by threading the brads through the Rik Rak before attaching to the "drawer" fronts. I used off cuts of paper to form drawer liners and doodled for added effect. 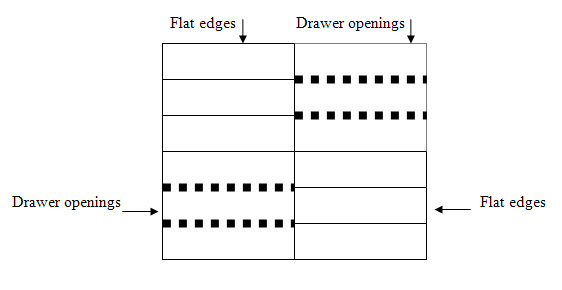 Using rubons I was able to number each drawer and I used a fine line black pen to add doodled stitching. 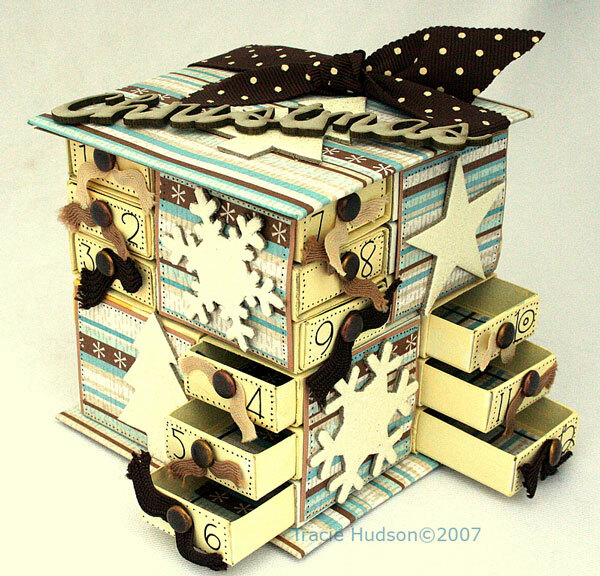 This tower of small drawers makes a perfect alternative to the more traditional advent calendar but could also be used as a decorative storage solution for your tiny scrapping treasures.